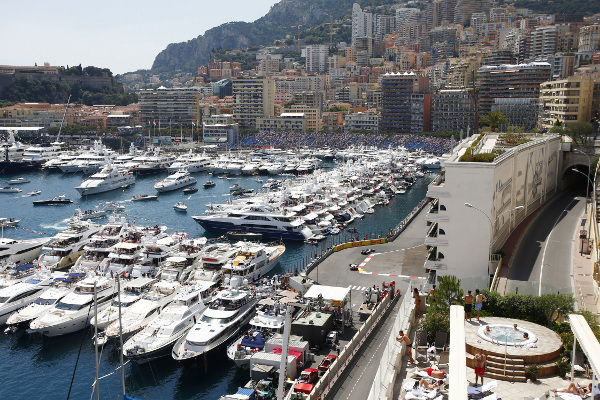 In 2019, 25 years will pass since the unfortunate event on 1994 Formula 1 racing track. That day, Ayrton Senna died in an accident at age 34. He is known as one of the best drivers in history. 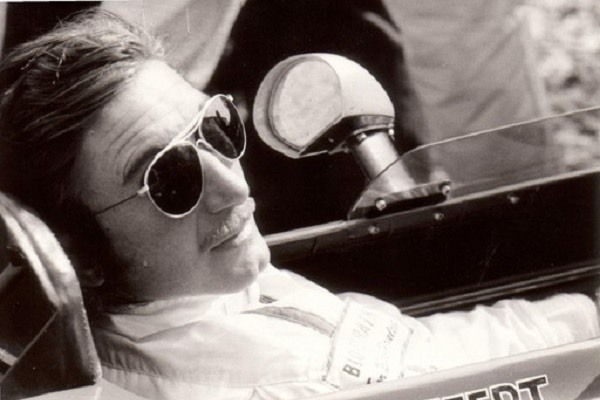 In his short time, Brazilian legend won three "Formula 1" championships and 41 Grand Prix races. However, his untimely death wasn’t the only one that season. F1 rookie Roland Ratzenberger also did not survive the crash, and more got injured over the season. It prompted many discussions and indulged in making security improvements. Later, dying on the F1 track became rare. The only other driver that lost his life on a track after Senna was Jules Bianchi in 2015. Ayrton Senna worked with a watchmaker Tag Heuer between 1988 and 1994 while belonging to McLaren team. He was an excellent company ambassador just by winning many F1 races. However, those who knew this persona understood that Ayrton is not just a fast racer. 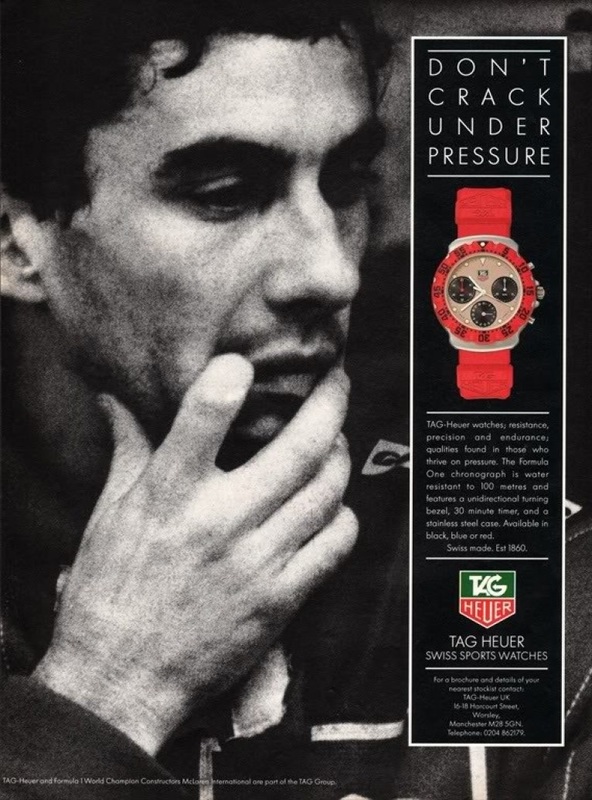 Tag Heuer together with Senna made the famous "Don't crack under pressure" ad campaign. 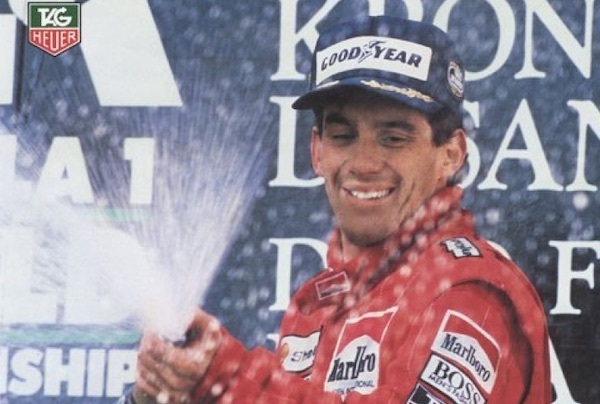 They continued to partner with the Senna foundation even after his death until 2004. It is believed that Ayrton’s last signed commercial agreement was with Tag Heuer, allowing to use his name for certain watches. It happened two days before his last race. 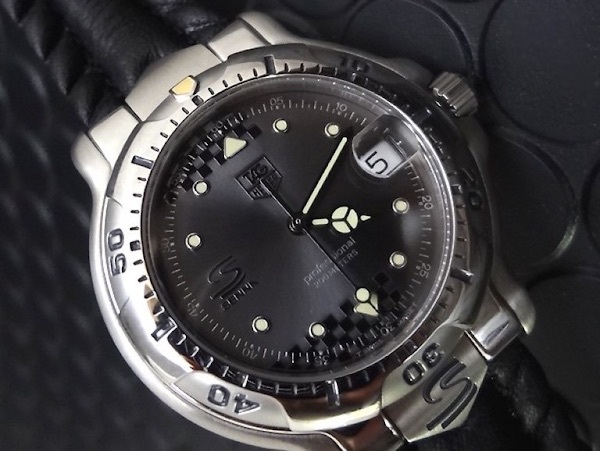 After the tragic accident, Heuer delayed the project for a couple of months. However, later they chose to go with it. They decided to donate to Senna Foundation 500 Swiss francs for each sold watch. During the years of partnership, Heuer released 5 Senna Limited Edition timepieces. 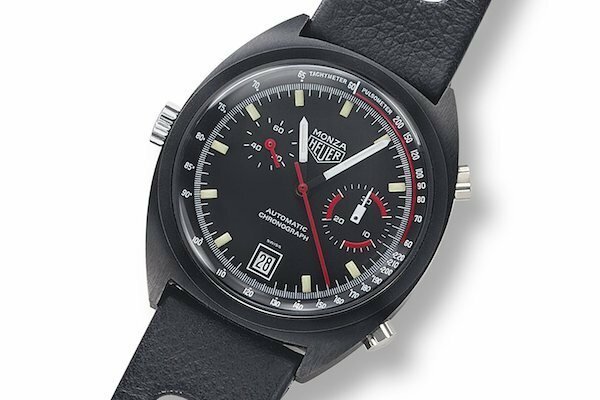 After an 11-year break, in 2015, Heuer presented brand new Carrera and Formula 1 “Senna” watch series. This partnership lasted in 2016 and 2017 as well. When in 1984 Tag Heuer decided to buy McLaren International, they already owned 50% of its shares. Before that, TAG investment group supported the Williams team for a couple of years. However, they wanted to do much more than just support. TAG even paid for the building of 1.5l Porsche turbo engine that has contributed to McLaren’s team victories in the championships of 1984, 1985 and 1986. McLaren used these engines up until 1988. 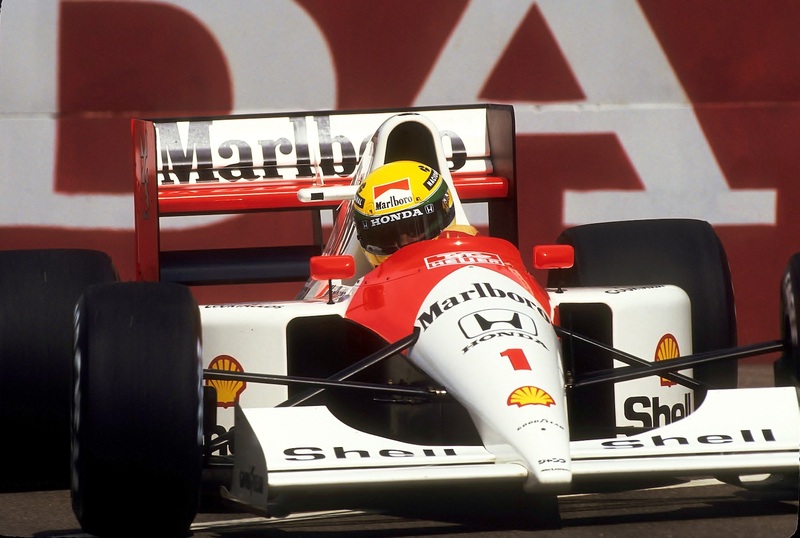 Ayrton Senna switched from Lotus to McLaren-Honda, giving three F1 champ titles and 35 victories to the team. This specific period, especially Senna’s rivalry with Alain Prost on a track, was one of the most exciting and debatable matters in racing history. At the end of 1993, Senna joined Williams - Renault team, where he competed in just three races before the fatal crash. When Senna came to McLaren, he became the ambassador of Tag Heuer "Sports and Elegance" watch family. His own timepiece made in 1990 had the same digital dial with the quartz mechanism as mentioned series (back then, quartz watches were trendy). The timepiece had a leather strip because Senna never liked metal ones. 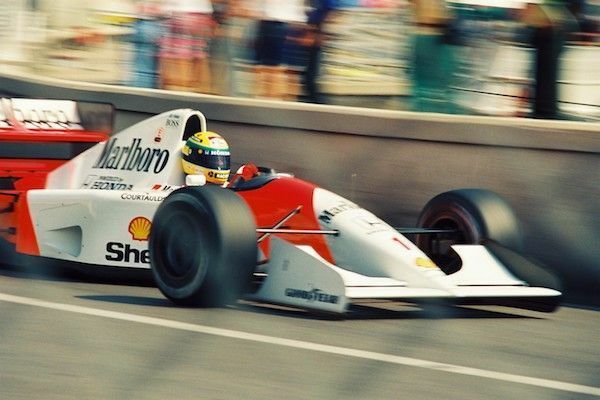 Once Senna made a deal with McLaren mechanic which became a well-known story. Senna promised that if he wins 1993 championship, he will switch watches with him. Sadly, Senna didn’t manage to win that time. 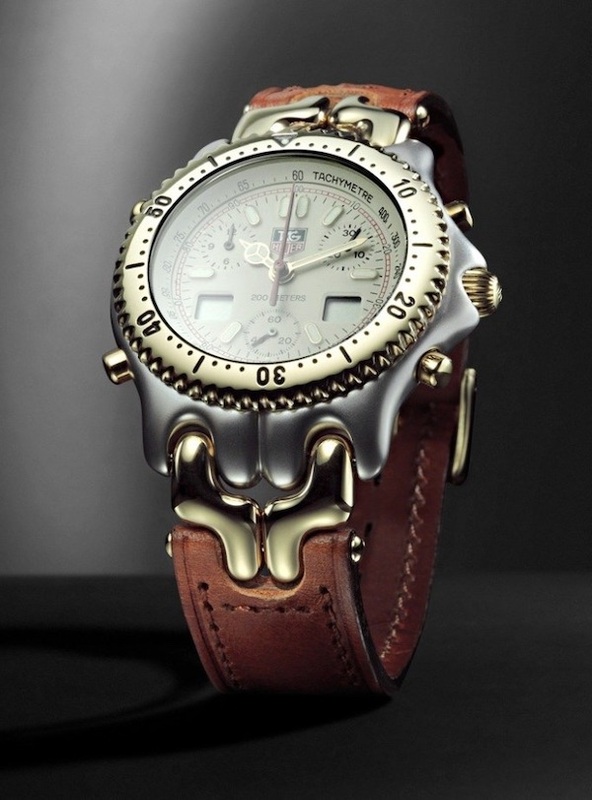 However, he gave away his watch to the mechanic anyway, right before he left from McLaren team. Famous TAG Heuer ad "Don’t crack under pressure"
Without a doubt, the most significant Tag Heuer creation with Senna’s name attached is Tag Heuer 6000 Senna. 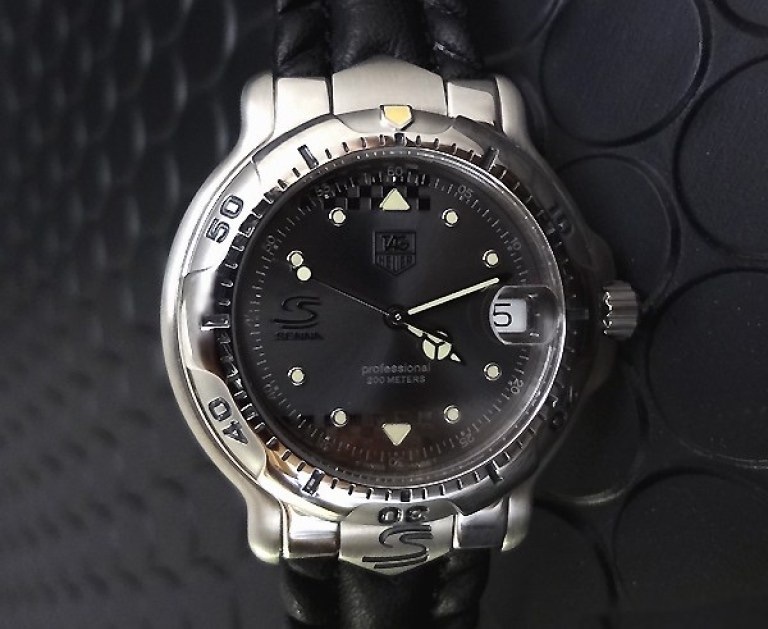 It’s the only watch that the driver managed to craft together with Tag Heuer before the demise. 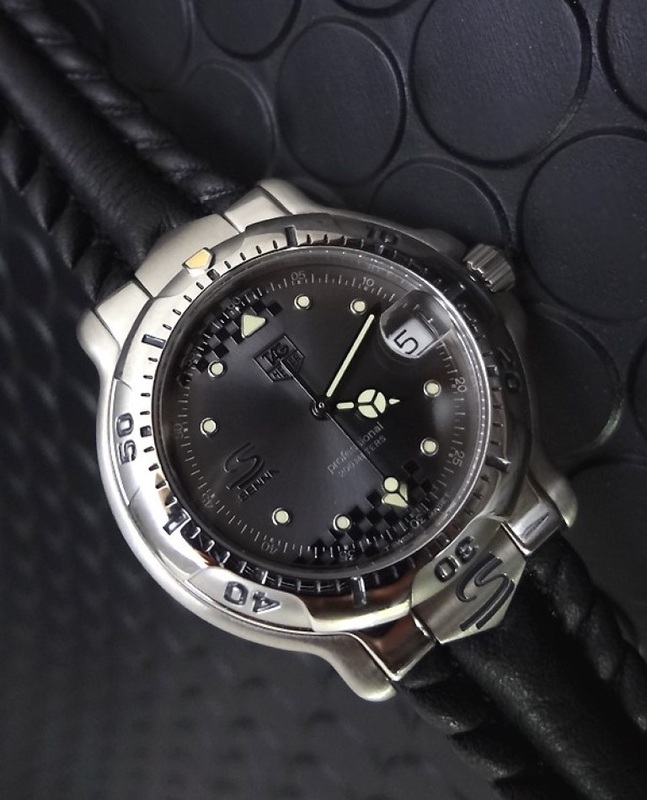 Timepieces are easily identifiable by SennaS logo instead of a standard one. 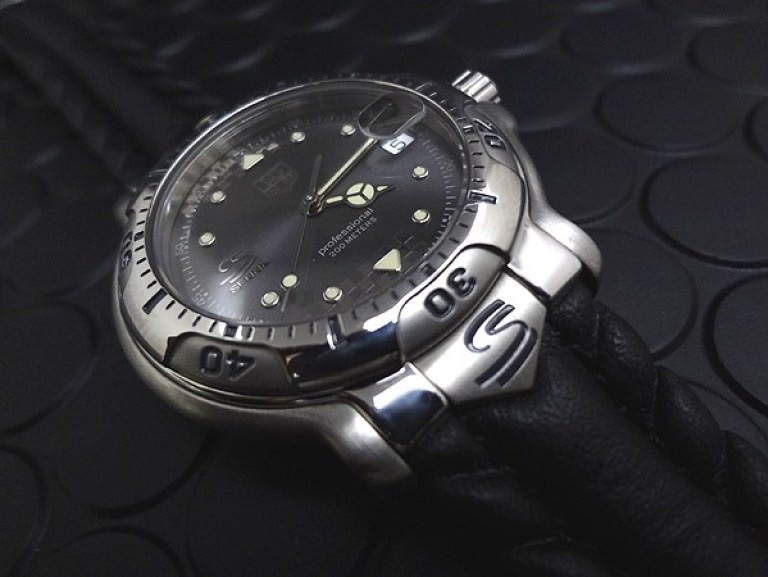 The dial design is also unique - you can see the racing flag scribes both on top and below. The mechanism is both automatic and mechanic. 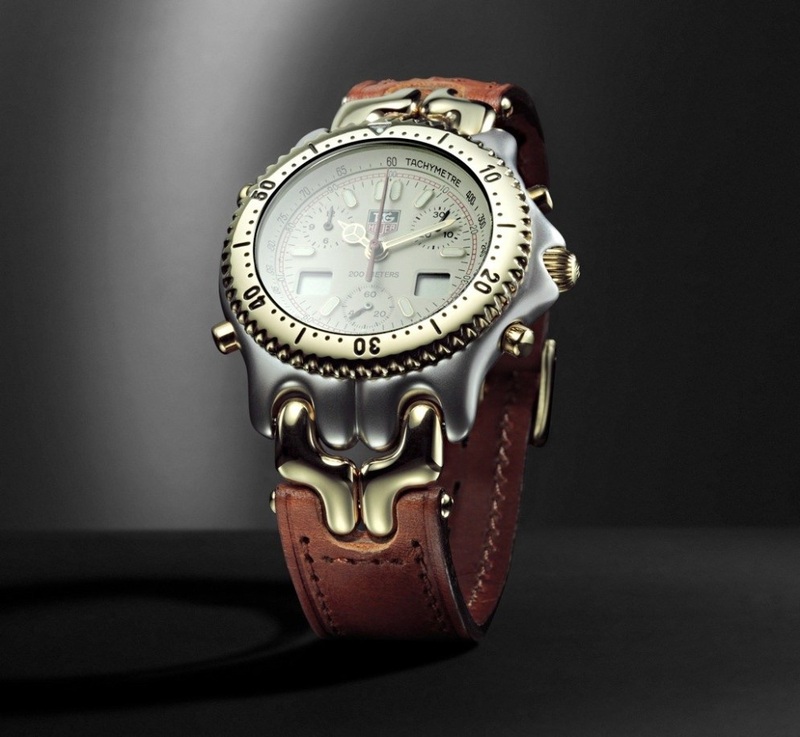 Timepieces are of limited quantity and sold in three different sizes (limited to 1000 units each). 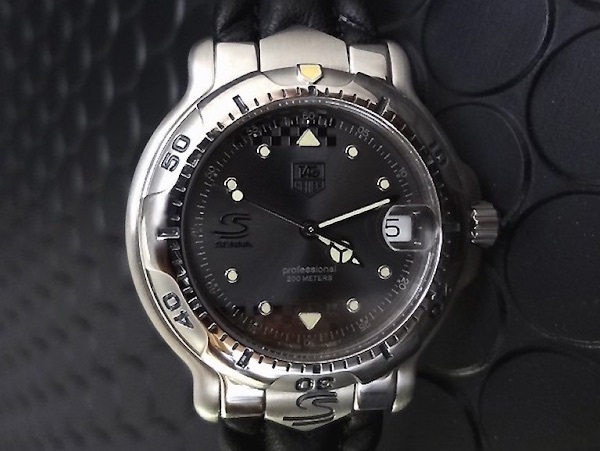 Senna Tag Heuer watches are one of the most desired collectibles. It is perfectly understandable. Senna collection is a natural extension of 1970 F1 celebrities and the partnership with Tag Heuer. 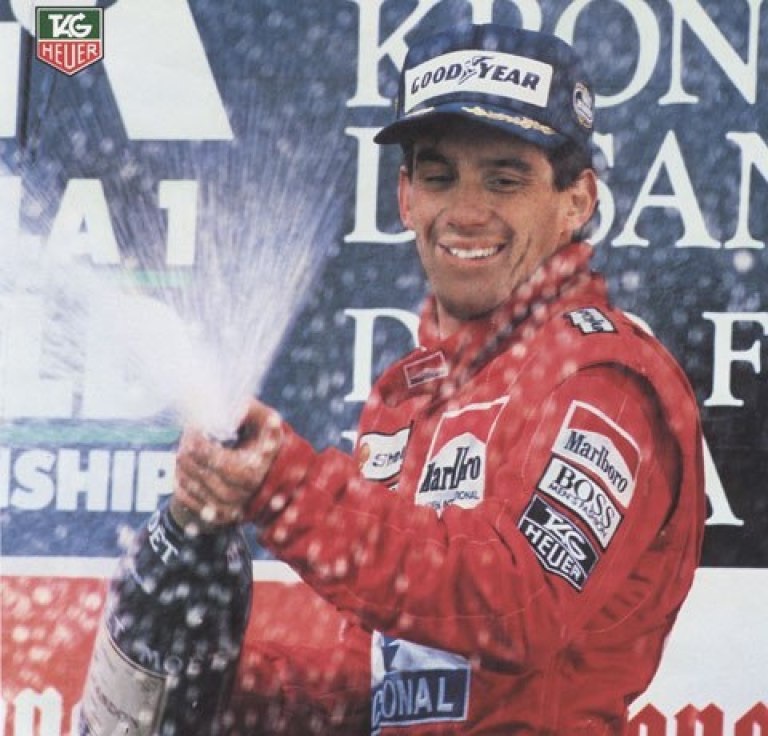 The same is happening now - Tag Heuer is an official McLaren - Honda sponsor, and Senna will always be associated with the most memorable victories of McLaren team. The contribution of Tag Heuer won’t be forgotten as well.